Please see full staff profiles below. Stuart grew up and was educated in Sydney – graduating with a Bachelor of Dental Surgery degree from Sydney University in 1984. 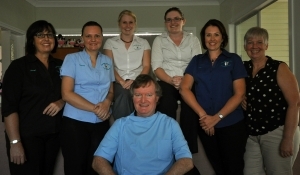 After a year working in two Sydney practices he and Deb moved to Inverell in 1985 to replace Dr John Northcott upon his retirement. Professionally Stuart has remained up to date by regularly attending numerous general dental seminars and conferences both in Australia and overseas. 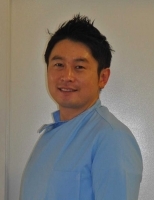 In 2003 he completed a mini-residency in Orthodontics and Dento-Facial Orthopaedics and in 2010 he completed a mini-residency in Biobloc Orthotropics in Los Angeles. Stuart attended the advanced Biobloc Orthotropics course last year in L.A, and has recently completed the General Orthodontic Residency program under the tutelage of Dr Steve Galella. Dr Galella has invented some remarkable appliances for developing healthier and more attractive faces. Stuart was also honoured to be invited to join the Peer Review Board of the International Journal of Orthodontics and to undertake the IAO Instructors Institute course. In 2016 he has taken a further Mini-Residency in Sleep-Related Breathing Disorders and Craniofacial Pain, as well as attending the International Association for Orthodontics conference in Arizona where he completed the Invisalign accreditation course. 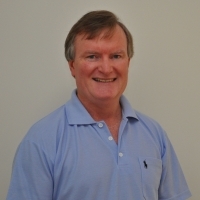 Stuart is a long-standing member of the Australian Dental Association and for the last 12 years has been a member of the International Association for Orthodontics. Stuart recently became a member of the American Academy of Craniofacial Pain. He is also a member of the Australasian Academy of Sleep Medicine, as well as being one of only a handful of Australians who are registered Orthotropic practitioners. Our orthodontic philosophy for children is to correct bad habits early and save or eliminate more extensive treatments later. Where possible we try to see the face and mouth develop to its full genetic potential, which not only looks better, but is far healthier and eliminates the need for extractions. In treating adults, apart from improving smiles, we are often able to reduce headaches and improve the airway which in turn improves health, sleep and general well-being. In the Inverell community Stuart has been involved in several organisations including the Inverell Sports Council, Inverell District Family Services, Jaycees, Ross Hill and Inverell High P & C Associations, the Inverell Club, and is a life member of the Inverell Cricket Association. Other interests include many sports, bush-walking, photography and travelling. The practice is a family oriented general dental practice covering most aspects of dentistry and referring to specialists where appropriate. Stuart is not a specialist orthodontist, however about half the practice is devoted to orthodontics and dento-facial orthopaedics. We try to address what actually causes the teeth and face to become crooked and what could cause orthodontic relapses – this important aspect is unfortunately often not addressed in mainstream orthodontics. KC has recently joined our team. He studied dentistry at Griffith University on the Gold Coast after previously studying in Seattle USA for a degree in Biology. Growing up in South Korea, he completed his compulsory National Service in the Air Force's Search and Rescue division where the experiences he had led him to decide on a career as a community health care provider. KC is a keen sportsman. Tennis has been a big part of his life and he has enjoyed volunteer coaching. Other sporting interests include golf, baseball and basketball. His wife Song is a pharmacist in also working in Inverell, and they now have a young son (Ian) born in mid 2017. His friendly and positive attitude, as well as his desire to be involved in the community, will see him as an asset to both our surgery and to the Inverell district. Deb grew up in Melbourne and completed her Diploma of Education in 1978. She worked as a primary school teacher before meeting Stuart and moving to Sydney then onto, Inverell in 1985. 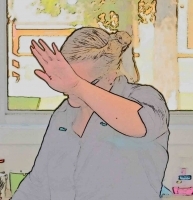 In 2000 Deb completed her Bachelor of Education (Early Childhood) from Charles Sturt University. Some casual teaching (while bringing up three daughters Sally, Stephanie and Lauren) led to the position of early intervention co-ordinator for 0-5 year olds with disabilities. She co-ordinated the team which included a speech pathologist, occupational therapist, child and family nurse and physiotherapist to improve the outcomes for the children and their families. 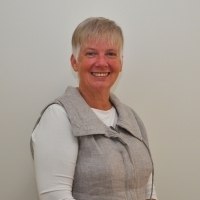 In the community, Deb was a counsellor for the Nursing Mothers’ Association, was on the Catherine Campbell Childcare committee and later president of the Inverell District Family Services. Deb enjoys touch football, pilates and netball where she was involved as a coach and was on the committee for several years. Tracey grew up in Delungra and Inverell, and has three young sons with her husband Bob. After completing her HSC at Inverell High School she completed a Diploma of Business Administration in 2000 at the Gold Coast before working in Port Douglas and then joining our team in 2002. She has developed skills in several areas and has proven to be an excellent member of the team, being organised, efficient and generally unflappable, and she has been praised and appreciated by our patients. Tracey enjoys the dental and orthodontic field and is planning to further her studies with a Bachelor's Degree in Oral Health, which would see her working as a Dental Therapist / Hygienist in the next few years. 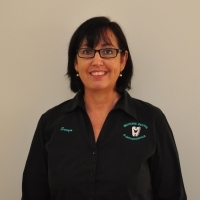 Deanne joined our team in November 2007, after moving to the Inverell area with her husband and three sons. 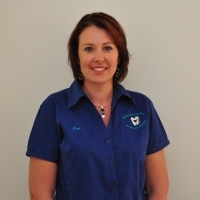 Deanne grew up in the Lake Macquarie area and had several years experience working in a busy Medical Practice. When the opportunity arose for her husband to transfer to Ashford, they came up and decided that they would give the country lifestyle a go for 3 years. Six years later they have now moved to a property in the Gilgai area and are well ensconsed in the Inverell district. Deanne loves to work with patients of all ages. She has proven to be very adaptable and has developed valuable skills in many different aspects of the practice. During 2014 Dee enrolled at the University of New England to undertake the Certificate IV in Professional Practice Management - which she completed very successfully. This should prove to be another great asset for her and for the practice. Sonya joined our group in 2009 when she, her husband and 3 sons moved into Inverell after managing a property near Ashford. Sonya enjoys interacting with patients and particularly likes working with children. She is able to calm and re-assure them, which in turn makes for a ‘happy’ visit with the dentist. Sonya finds the orthodontic side of the practice very interesting and fulfilling, especially when she has followed patients from the initial consultation and record-taking to the completion of active treatment. 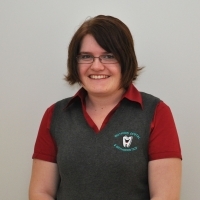 Fallon was born in Inverell and completed her Senior Education at Ashford Central School in 2011. 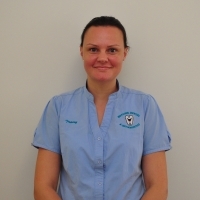 She has completed Certificate IV in Dental Assisting majoring in Radiography via distance education through Open Training and Education Network in Sydney. Fallon joined the Watkins Dental team in March 2013 and has been a great asset to the surgery. She enjoys singing, netball and assisting people in need. Fallon is an excellent assistant who is always reassuring patients. Not only is she gentle but she has a good knowledge of all our procedures, and is always keen to learn the reasons for, as well as the details of, our many different procedures. Mel is the latest addition to our staff. She is a fraction camera-shy.